The Holidays are here! 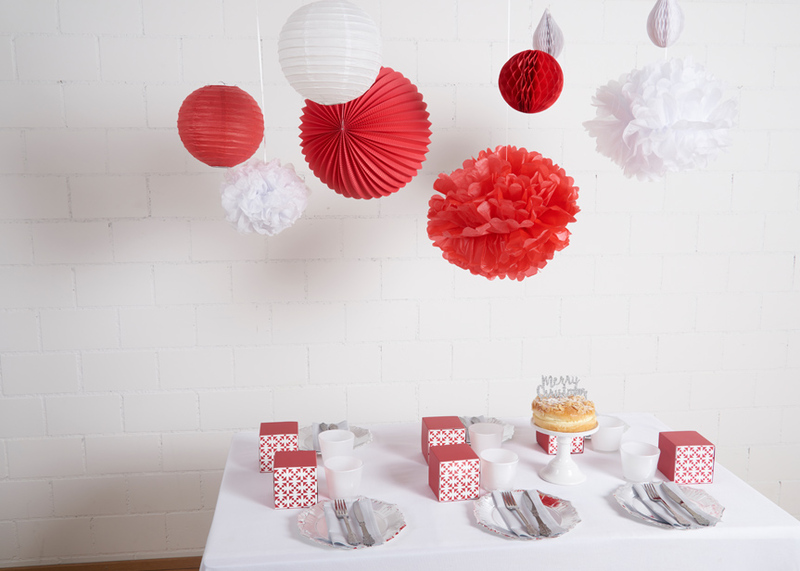 There are tons of ways to decorate your house and your Holiday parties with paper lanterns for a very sweet price. 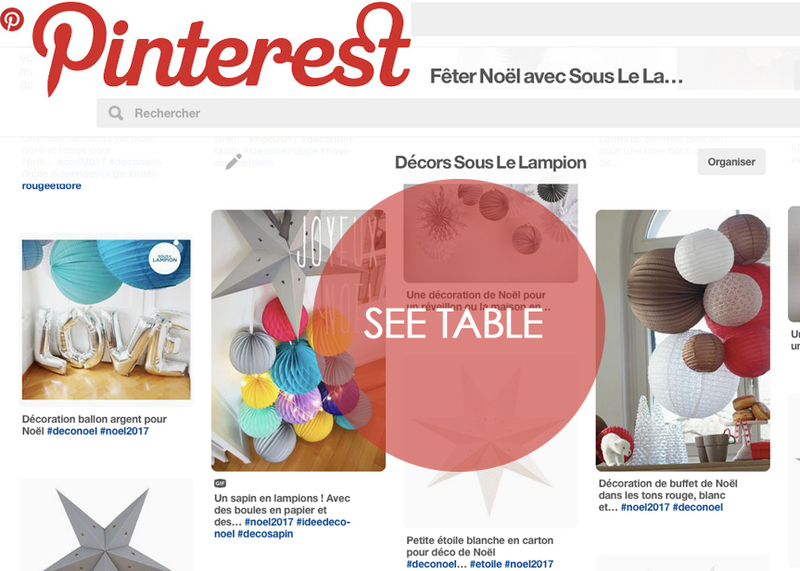 For your Chrismtas table, a New Year's Eve dessert table, or just to cheer up your home, here is a selection of our favorite Holiday decor ideas and our tips for easy set-up. If you have a specific need, feel free to contact us and we will happily help your create the most fabulous decoration for the Holidays! To create this dreamy dessert table decor, you just need some string and insert paper lanterns on this string (like beads for a necklace). You can fill in the "blanks" with smaller elements like our honeycomb drops. 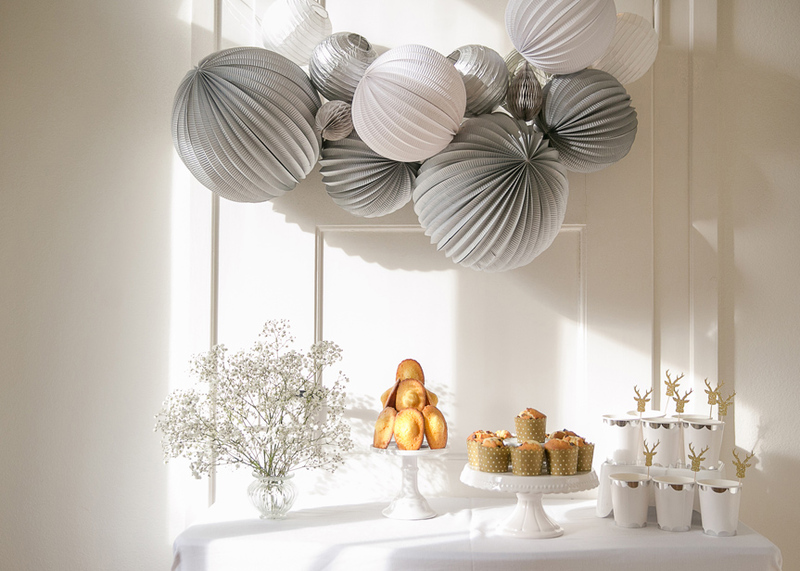 If you want something totally in trend and super gorgeous to decorate a Holiday table, our new balloon garland with silver, grey, white and clear balloons is the perfect choice! 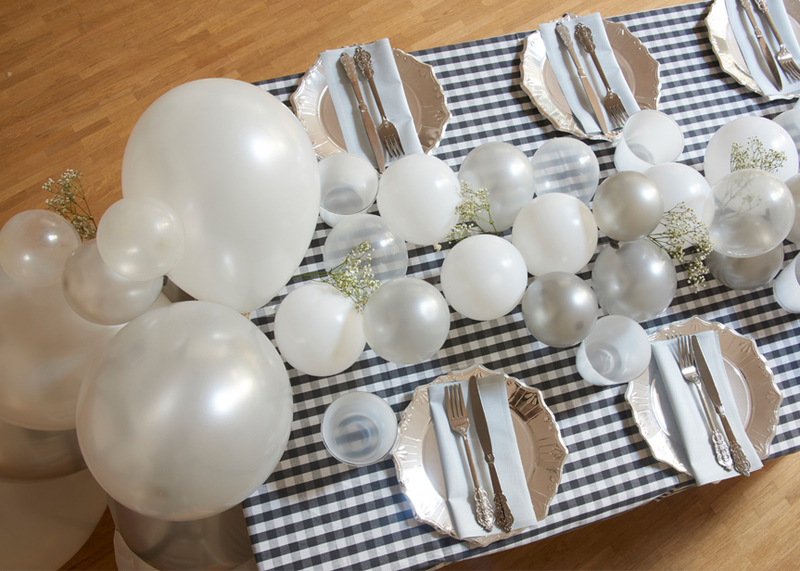 To assemble this garland (instructions included in kit) you just need to lay the structure on the table and insert the smalller balloons on top of the table, leaving the bigger balloons for the table extremities. You can also hang this garland on a wall for a magical statement piece for your home! 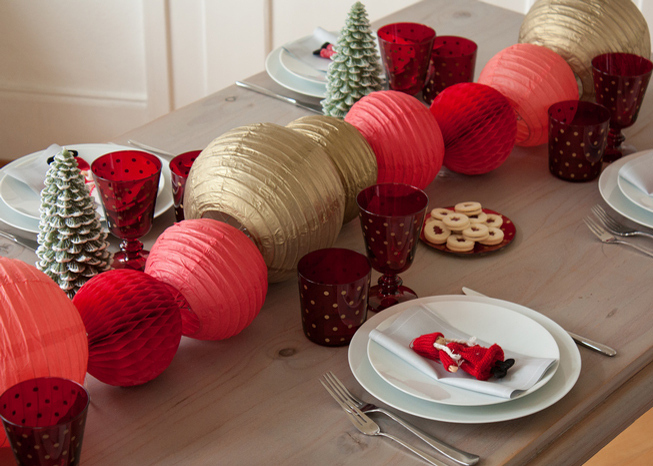 For a traditional Christmas decoration, in pretty red and white, use our "Red Christmas" set with a mix of paper lanterns, accordion paper lanterns and pompoms. Make your Christmas dinner extra pretty by hanging these over the table using all the hanging possibilities of the room and ceiling, i.e. light fixtures, beams, window frames etc. to create a "net" with fishing line or twine. This gorgeous and one-of-a-kind table decoration is very easy to create: using 4 or 5 baboos (found in gardens or in garden center) placed into a large vase at the center of the table. 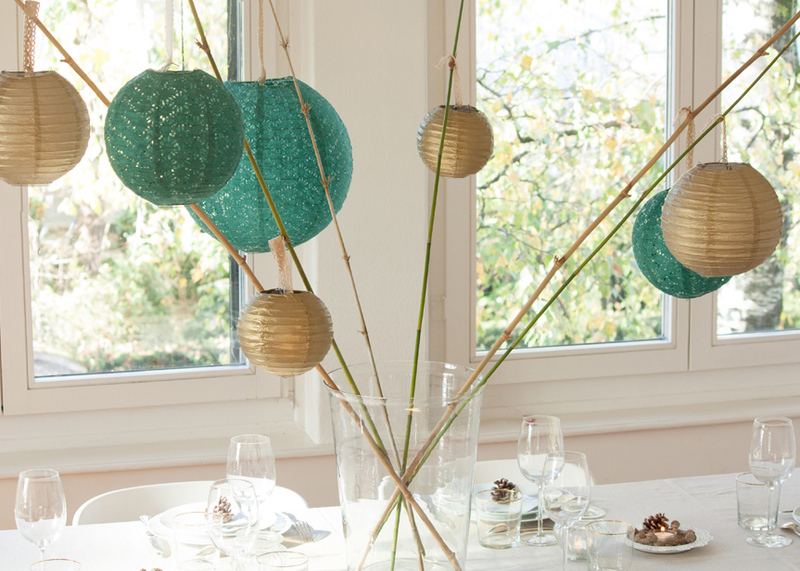 Simply hang lanterns at different heights to each bamboo and voilà! This gorgeous and one-of-a-kind table decoration is very easy to create: using 4 or 5 baboos (found in gardens or in garden center) placed into a large vase at the center of the table. 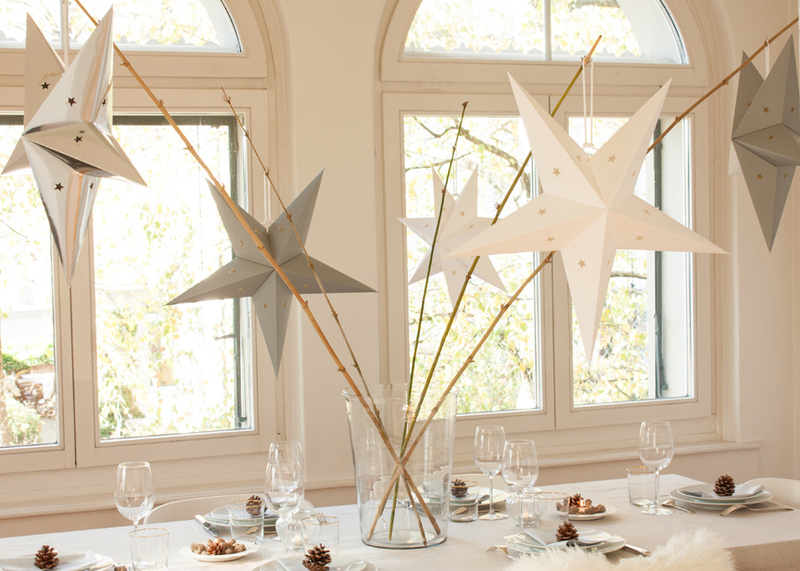 Simply hang star lanterns at different heights to each bamboo and voilà! 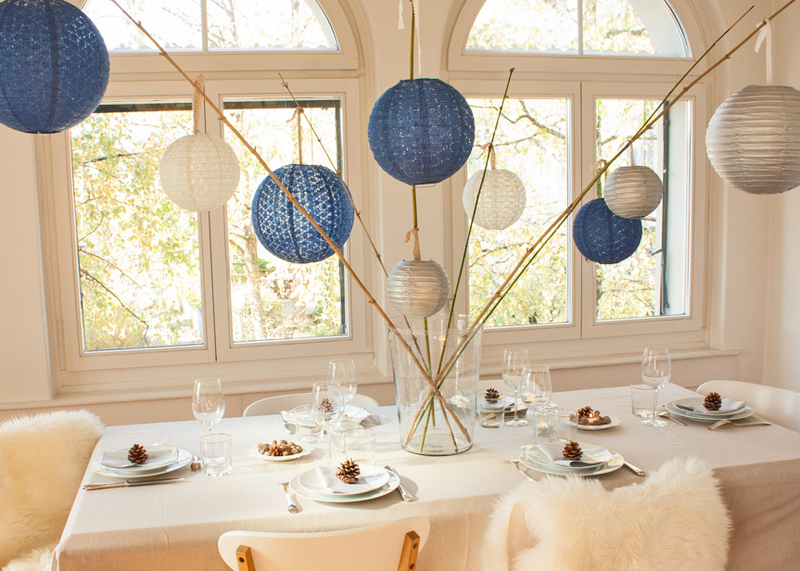 A simple and pretty idea for a cheerful centerpiece: string small paper lanterns and honeycomb balls on some fishing line or twine and simply lay the garland at the center of your table. 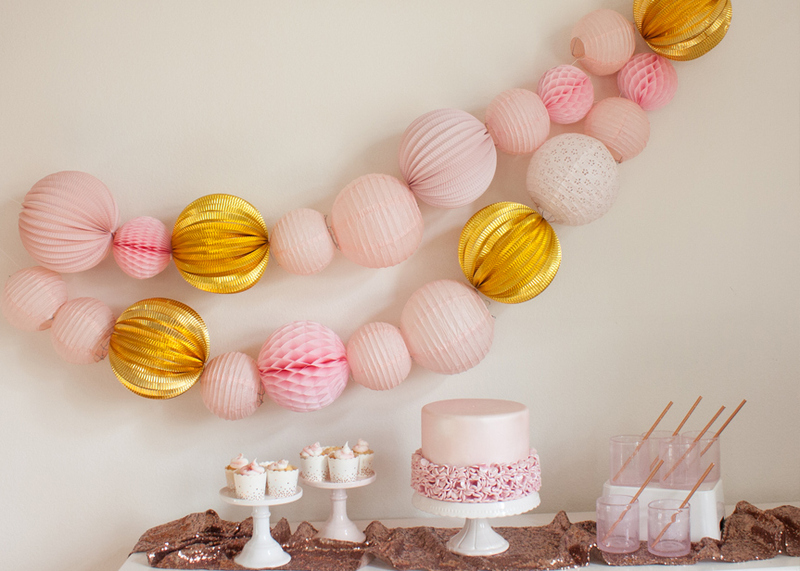 To create this gorgeous pink and gold palette decor for your New Year's Eve dessert table, you just need to string paper lanterns and honeycom balls on some fishing line or twine and hang it on the wall.